He was a high school student while she was a million dollar pop star. He knew exactly who he was while she was just figuring it all out. There were a million reasons for them not to be together. A million reasons for them not to let this go any further. And only one reason for them to hold on. He loved her. 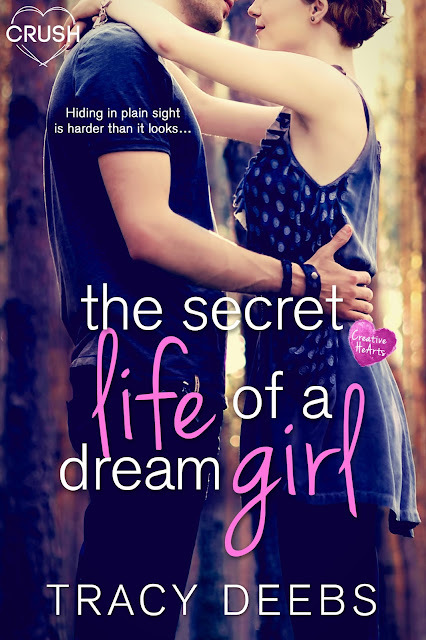 She was his Dream Girl and now that he’d found her, he was going to hold on as tightly as he could. Creative HeArts is one of those creative series. First of all the characters are so different, and bright and colourful, thanks to the different authors. I love the idea that each couple's story is told from another author. But out of the all 4 books so far this was the best one for me. I loved both characters almost as always. But the thing is that romance was much more here than in the others. Author was not shy talking about their desires and attraction, while in the other books it was kind of limited even restricted. While reading this I felt at ease, while during others I was kind of tense, like I knew they wanted to do something but they couldn't and I wanted to do it in their place or make them somehow to that. Want to see more of them, looking forward!